Enjoying a bowl of homemade peach ice cream that my Mother made to celebrate my Uncle Carl's seventy seventh birthday was a perfect end to one of the hottest days on the dairy farm. 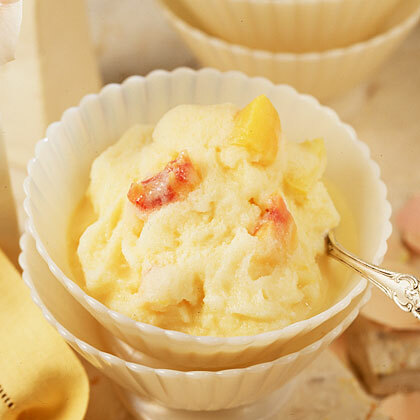 The secret to the great flavor of this ice cream is to make sure you have juicy ripe peaches. Crush peaches and mix with lemon juice and salt. Add evaporated milk and sugar to peaches and mix well. Add whole milk to fill line on freezer. Freeze. What ever you might be celebrating--homemade ice cream is the perfect summer treat!